Differences in enforcement and arbitral rules could cause difficulties for unwary parties engaged in or considering arbitration in mainland China. China’s economic growth has attracted significant foreign investment in recent years. However, as commercial ties between mainland China and the rest of the world broaden and deepen, the number of China-related commercial disputes has also increased. Arbitration is widely recognised as an effective and efficient method of dispute resolution, providing disputants with neutral decision- makers as well as the ability to enforce against the assets of the counter-parties. Unlike court proceedings, arbitrations are generally confidential, which can help protect a disputant’s reputation, proprietary information and client identities. Arbitrators are often specialists chosen by the parties on the basis of their industry experience, so they are often better suited than judges to resolving disputes involving complex business transactions or sophisticated investment products and structures. Aside from these general considerations, parties should understand specific characteristics particular to arbitration in mainland China and within the wider region. We describe five considerations parties can use to enhance their chances of award enforcement or which may create difficulties in their commercial dispute resolution. The Chinese court system is divided into four levels: Basic People’s Court, Intermediate People’s Court, Higher People’s Court and Supreme People’s Court (the “SPC”). Generally, for international arbitrations, the Basic Court is not involved. Generally, the Intermediate People’s Court is responsible for hearing challenges to the validity of the arbitral agreement and the enforcement of foreign arbitral awards. In compliance with a pre-reporting scheme implemented by the SPC, if an Intermediate Court decides not to enforce a New York Convention arbitral award or a foreign-related arbitral award, the Intermediate Court must submit the case to the High People’s Court for further review. If the High People’s Court agrees with the decision of the Intermediate Court not to enforce such an award, the High People’s Court must submit the case to the SPC for review. In this way, China ensures that it complies with its New York Convention obligations and that arbitral awards are not enforced only in exceptional cases. When a dispute arises with a Chinese counter-party, arbitration within the PRC may improve prospects for enforcement. Since 2012, the Chinese Civil Procedure Law has allowed for the attachment of property before initiating arbitration. However, Chinese courts do not currently recognise or enforce foreign interim rulings that allow for the attachment of property in mainland China. Thus, from the perspective of enforcement of interim measures, arbitrating outside mainland China may be less advantageous for foreign parties seeking to enforce against a Chinese counter-party without assets abroad. Article 16 of the Arbitration Law stipulates that an arbitration agreement must designate an arbitration commission. Domestic ad hoc arbitrations (including UNCITRAL arbitrations) are therefore prohibited thereunder. In Züblin International GmbH v Wuxi Woke General Engineering Rubber Co., Ltd, the SPC held that the recognition and enforcement of an International Chamber of Commerce (“ICC”) arbitral award with a seat in Shanghai should be refused on the grounds that there was “no explicit designation of an arbitration institution” because the agreement merely provided for arbitration under “ICC rules.” However, foreign arbitral awards obtained through ad hoc proceedings are generally recognised and enforceable at PRC courts. While the Arbitration Law does not expressly forbid ICC arbitrations in mainland China, there is a general presumption that foreign arbitration institutions are not allowed to operate in the country. However, in a recent decision of the SPC in Longlide Packaging Co. Ltd. v. BP Agnati S.R.L., the SPC appears to have taken the view that an arbitration clause providing for arbitration in Shanghai administered by the ICC under ICC Rules is valid. However, the SPC stopped short of deciding on the enforceability of an award under such an arbitration clause. This leaves open the question of how such an award can be enforced in China – whether as a non-domestic arbitral award under the New York Convention or as a domestic award. Thus, while the Longlide decision looks promising for foreign arbitral institutions wishing to administer arbitrations under their rules in China, the picture is still far from clear. If a party wishes to have an ICC arbitration with hearings in mainland China, it is still advisable to specify in its arbitration agreement that the seat of the arbitration is outside of the PRC — for example, in Hong Kong or Singapore. Although in Duferco SA v Ningbo Arts & Crafts Import & Export Co., the Ningbo Intermediate People’s Court recently enforced an ICC award with a seat in Beijing, this was on the grounds that the judgment debtor was procedurally barred from arguing that the arbitration agreement was void because he failed to raise the objection prior to the first arbitral hearing. The influence of this holding is likely quite limited. Alternatively, a party may wish to use the ICC clause specifically designed for mainland China, although enforceability remains a concern. Chinese law provides no basis for allowing two PRC legal persons to choose a foreign arbitration institution or engage in ad hoc arbitration outside the territory of the PRC. (See Jiangsu Aerospace Wanyuan Wind Power Co., Ltd v LM Wind Power (Tianjin) Co., Ltd. This holding reflects a desire to prevent domestic parties from by-passing Chinese courts and jurisprudence.) The scope of a “PRC legal person” is broader than it appears at first glance: a foreign-invested enterprise (“FIE”) incorporated as a legal person in the PRC constitutes a domestic entity under the Arbitration Law, even if the investors in the FIE are foreign parties. In that event, the arbitration must take place within the PRC. Arbitral awards, including ad hoc awards, issued in Hong Kong are recognised and enforceable in mainland China under a “mutual arrangement.” However, non-monetary awards, such as injunctions, are not covered by the arrangement. A claimant should therefore consider the desired outcome when choosing between Hong Kong and the PRC as an arbitration seat. 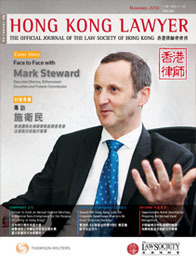 Parties to commercial disputes in mainland China, especially FIEs, should carefully consider if and how to pursue arbitration within the PRC or elsewhere in the region.